With the Lightning Battery Case protecting and charging your iPhone, you can enjoy up to 40 extra hours of audio and 13 extra hours of video playback, in addition to the battery life of your iPhone 5. Take full advantage of everything your iPhone has to offer, such as Web browsing, downloading apps, sending emails, or watching video without worrying about always having to recharge. 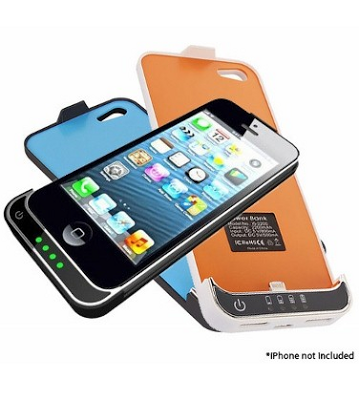 This innovative smart battery case adds up to an additional 7 hours of talk time and 7 hours of Web browsing on 3G with your iPhone 5.